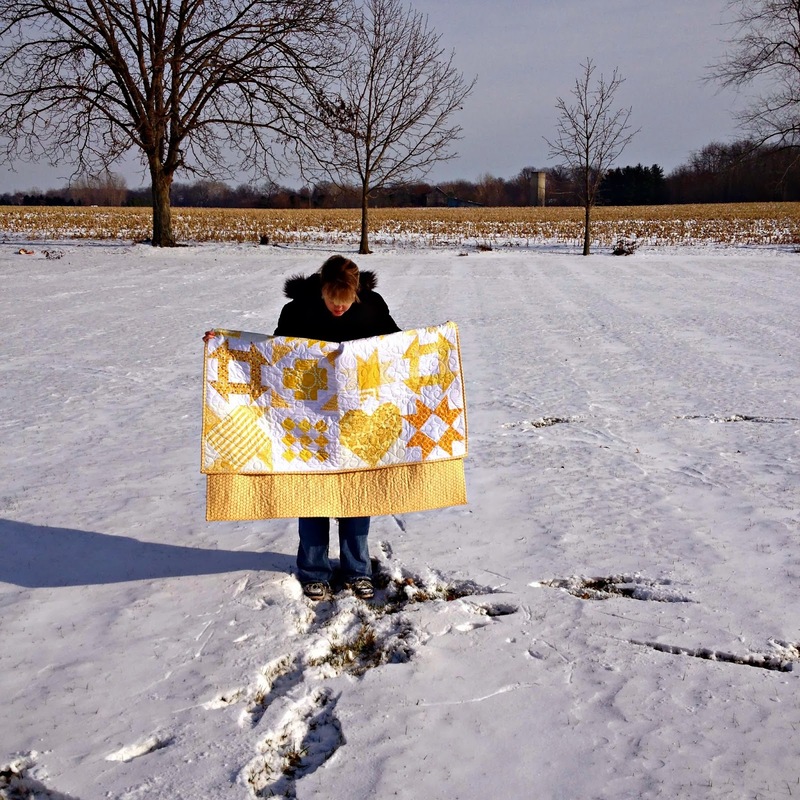 The Sunshine Quilt is finished for the Heal circle of Do God Stitches. I think this will brighten anyone's day! 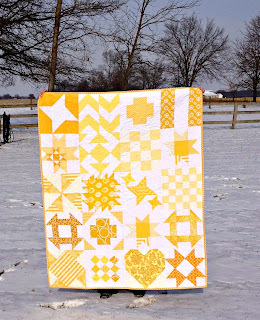 I had asked each of the members to make two blocks of their choice using only the colors white and yellow. I just love the heart block! 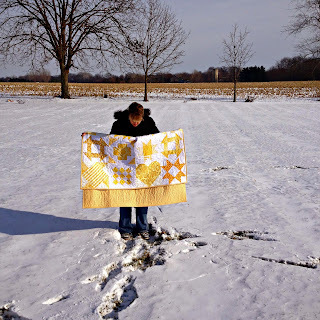 I sent it to Kelsey to work her long arm magic and she even hid the word love in the quilting! She does a wonderful job! 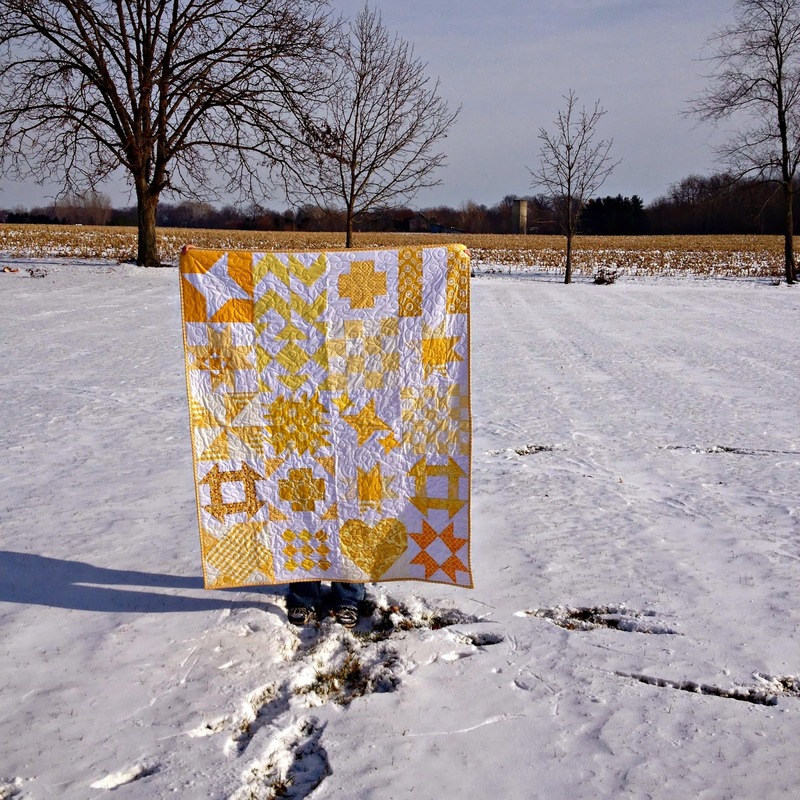 I am so pleased with this quilt and I know it will bring joy to the person who receives it. Haha!! It should have shouldn't it?? lol Thanks Kristy! Thank you! Everyone made amazing blocks for this quilt!